Each January we highlight and celebrate the great work and ministry of Catholic Schools. 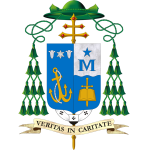 We are blessed in the Archdiocese of Anchorage to have four Catholic Schools within the Archdiocesan system: Lumen Christi (7th– 12thGrades) in Anchorage, Saint Elizabeth Ann Seton (Pre-K – 6thGrade), Our Lady of the Valley (Pre-K – 8thGrade) in Wasilla and St. Mary’sin Kodiak (Pre-K – 8thGrade). There is also one independent Catholic School, Holy Rosary. 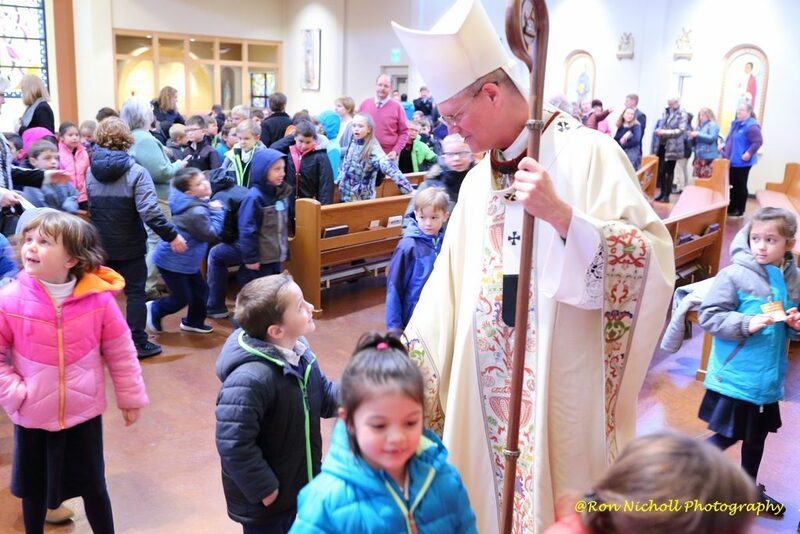 I’m very grateful to all of our school principals, teachers, volunteers, families, parishes and donors who keep this wonderful ministry of Catholic education alive and well here in the Archdiocese of Anchorage. This morning we gathered with our Catholic School students for a Mass to celebrate Catholic Education. Catholic Schools have a long and solid tradition of passing on the faith to the next generation. We had a joyful celebration at Our Lady of Guadalupe this morning. Catholic parents take on a great responsibility when they bring their children into the world. One of the greatest is to pass on the Catholic faith to their children. This is done primarily through their own example of regularly practicing the faith and introducing their children into the sacramental life of the Church. Other than the faith practice of the family, I can think of no better way to pass on the faith to our children than enrolling them in a Catholic School. In a world filled with ideas and values that run counter to the Gospel, a child in a Catholic school is immersed in a respectful atmosphere of values and practices that form each student to reach their fullest human potential and to become an active member of the Church and the broader community. Beyond an excellent academic education, our Catholic Schools provide our students with a worldview centered in the teachings of Jesus Christ. Our Catholic Schools provide students with the skills and desire to live justly and value service to others before self. Their education and formation are rooted in values and virtue which give them the confidence to face life’s challenges. The foundation of Catholic education is Jesus Christ, and the understanding that every human person is created in the image and likeness of God. What parent does not want the best for their child and that child’s future? Our Catholic Schools provide a safe environment, devoted faculty, staff and volunteers, solid curriculum, and service opportunities, extracurricular activities that combined create an environment that allows a child to thrive and grow in knowledge and self-esteem. Catholic Education is transformative. Graduates of Catholic Schools have a long history of leadership in the Church and beyond. The Catholic education process teaches students to be critical thinkers. Catholic education instills in students a moral and ethical structure which allows them to become the person God created them to be; to flourish in human dignity and decency, which naturally tends towards leadership in every professional field of life and work. Graduates of Catholic Schools typically do not settle for the mediocre, or the passing things of this life, but rather strive for excellence with an eye always towards the Kingdom of God. Thus, they give soul and purpose to this world as they work out their own salvation in their efforts to make this world a better place for their brothers and sisters. I fear that too many parents believe they cannot afford a Catholic education for their children, thus never even taking the opportunity to walk into one of our Catholic schools to discuss what is possible for their children. Parents, you are not the only ones who want what is best for your child. We do too! Please take time this month to visit with the principal of the Catholic School nearest you, and you will be surprised what we offer. Come and see, and you just may discover an even brighter future for your child!